Fine and important French 1940s Retro style diamond necklace. This exceptional jewel is crafted in 18 karat yellow gold and measures approximately 430mm long (about 17 inches). 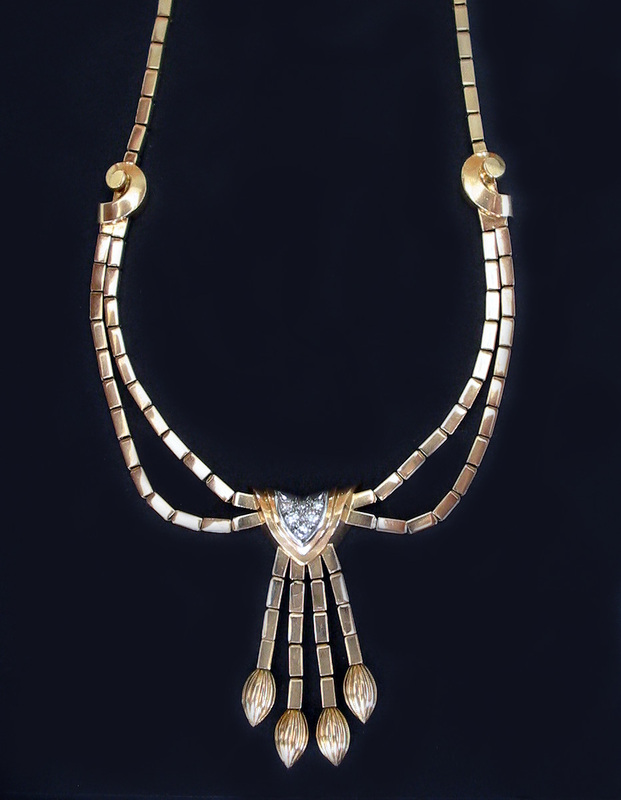 The necklace has an exotic design resembling some Oriental and mythological motifs - very typical for the top of the line French master jewelers of that time. There is a total of 6 brilliant cut diamonds set at the center of the necklace with an average F-G color and VVS clarity and approximate total diamond weight of 0.5 carats. Gross weight of the necklace is 37 grams in 18 karat yellow gold. 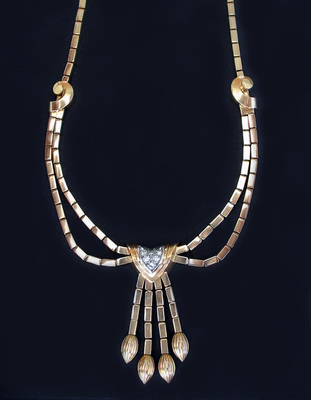 Similar and rare Retro design diamond necklaces were very well sought after by celebrities during those times and are always presnt at major Sothebys and Christies fine jewelry sales. 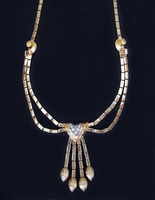 Scarce vintage jewelry collectors piece and one of the nice French diamond Retro style gold necklaces and jewels.